Beauty Box 5 is celebrating their 2nd birthday this month! And they are celebrating in style by sending us a box full of goodies! New to BB5? Each month 5 samples of cosmetic products are delivered right to your door for just $12. You’ll receive a mixture of luxury, commonly known brands, niche brands, eco-conscious and even vegan brands. This month I was excited to see what birthday surprise they had in store for us! Let's take a closer look at my box, shall we? Rockstar Nails - Nail Polish/ Nail Sprinkles- Everyone knows I can't resist a cute nail polish, so I was most excited to see the Rockstar Nails nail polish in a pretty teal color! It also came with nail sprinkles to add a little pizazz to your mani. Basically to add the sprinkles you have to wait 10 seconds after painting your top coat, so that the polish sets, but doesn't dry. Option 1 - Over a bowl, gently shake the caviar onto your nail, starting at the nail bed and work your way out. Option 2 - Dump the sprinkles into a container and lightly press your nail into the sprinkles. Set with a clear top coat. John Frieda Luxurious Volume Shampoo & Conditioner - Lord knows I don't need anymore volume in my hair, but John Frieda is a brand I know and trust so I will keep these handy for any future guests. Every Beauty Makeup Remover Pads w/Argan Oil Extract - This is something every girl needs in her beauty arsenal. They're perfect for traveling. You simply add water to activate and they clean your face clean without a drop of alcohol! They're 100% natural and contain vitamin 3 and Argan oil extract. 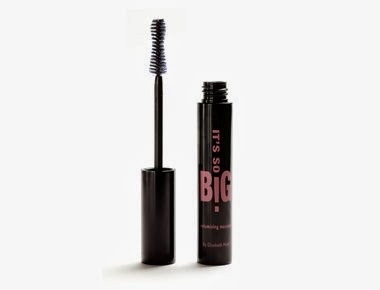 Elizabeth Mott It's so Big Volumizing Mascara - I'm always on the hunt for a mascara that delivers. This one has an hourglass wand which easily coats your lashes and prevents clumping while still providing length. It fits perfectly in my cosmetic case, so I will be carrying it around for emergencies. Bonus: MyNameNecklace.com Gift Card - As a birthday surprise, BB5 also included a $10 gift card to My Name Necklace which make perfect customizable gift! Thanks BB5! Pick up your Beauty Box 5 Subscription now! As a Birthday Giveaway, BB5 is also offering two tickets to an amazing weekend getaway with Campowerment! Enter the Facebook sweepstakes here. Contest ends 2/28. Good luck! The Every Beauty Makeup Remover Pads w/Argan Oil Extract sounds great for travel. I will have to check them out. Thank you for sharing!! !